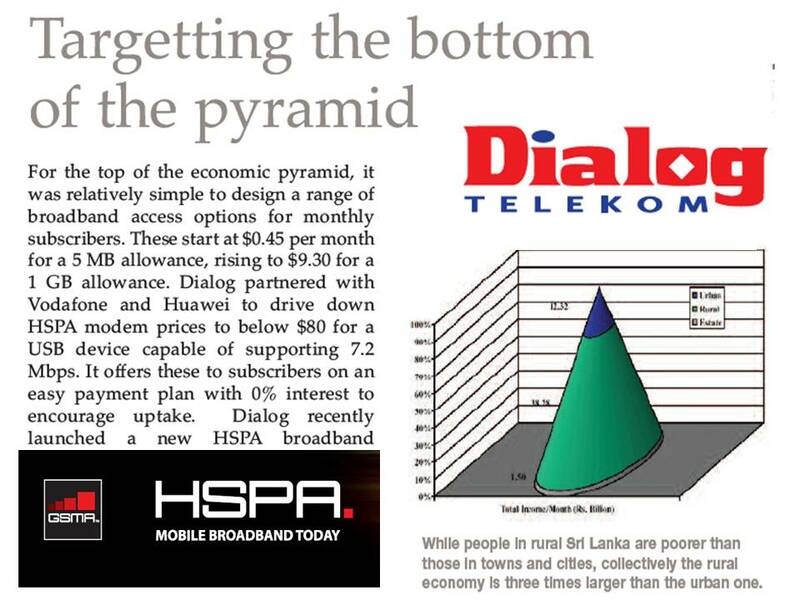 Thus starts the GSMA case study on the Dialog mobile broadband. It is just four pages and in easily readable format – but still enough new stuff, that makes it a worthy read. * Dialog estimates that the rural economy generates $350 million per month compared to $110 million in the urban economy. * Dialog’s success lies in pioneering the low ARPU business model. Eighty-seven percent of the operator’s 5 million mobile customers are prepaid with an ARPU of less than US$4.